Stratford-upon-Avon is the only UK destination selected! Fodor's Travel, the leading name in travel recommendations for almost 80 years, yesterday released its fifth annual Fodor's Go List. The list highlights 25 can't-miss spots around the world that should be on every traveler's radar in 2016 and features Stratford-upon-Avon as the only destination in the UK to visit. 2016 is a major year for Stratford-upon-Avon as it commemorates the 400th anniversary of Shakespeare's legacy. The destinations, which span six continents and 20 countries, are chosen by the experts at Fodor's Travel who log countless miles traveling across the globe each year. This year's list incorporates everything from emerging destinations (Minneapolis's North Loop) and new hotspots (Cuba) to noteworthy events (Bavaria's Oktoberfest will be even more of a party as they celebrate the 500th anniversary of the famous Beer Purity Law) and great values (San Sebastian, Spain) around the world. 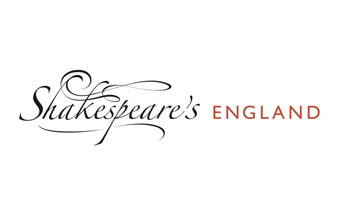 Helen Peters, Chief Executive of Shakespeare's England said "We are delighted that Stratford-upon-Avon has been selected by Fodor's Travel as one of their must see destinations to visit next year, especially with the town celebrating the 400th anniversary of Shakespeare's legacy". Arabella Bowen, Editor in Chief of Fodor's Travel said "With so many destinations worth visiting it can be overwhelming for travellers to decide where they should go next. Our Go List helps guide travellers when they are making that decision and this year we went a step further by recommending Utah as our top destination to visit in 2016." View the complete Fodor's Go List and destination guides to get started planning at http://www.fodors.com/go-list-2016. To join the online conversation, use the Fodor's Go List hashtag to share where you'll be traveling in 2016: #FodorsOnTheGo. To select the 2016 Go List, the Fodor's editorial team began with an initial list of dozens of global and domestic nominees, which they narrowed down to the top 25 places to go next year after much heated internal debate. The end result is a Go List that highlights travel destinations sure to suit every taste, trip length and budget. The Fodor's name has been synonymous with travel for almost 80 years. Our award-winning guidebooks, website, eBooks, and mobile apps provide today's traveler with up-to-the-minute information to over 7,500 worldwide destinations. Learn more at Fodors.com and join our engaged travel community on Facebook (facebook.com/FodorsTravel), Twitter (@fodorstravel) and Instagram (@FodorsTravel). Fodor's Travel is an imprint of Random House LLC, a Penguin Random House Company.